The graduates have a lot to say about their experience at the University, and they get to share those thoughts in My LopeLife. 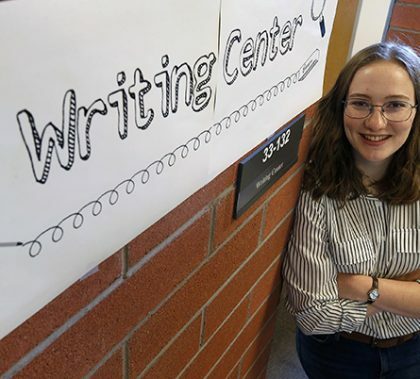 This week, GCU Today will share the essays of four of them, starting with Erin Honeycutt, whose piece was chosen for the April issue of GCU Magazine. 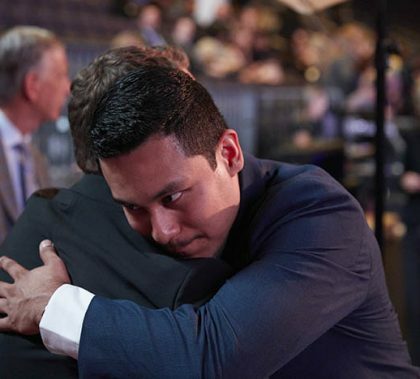 Of all the commencement stories to come out of GCU in recent years, the metamorphosis of Jesse Dalla Riva probably is the most remarkable. Five years ago, he walked into a detox center determined to get off the streets — and off heroin. 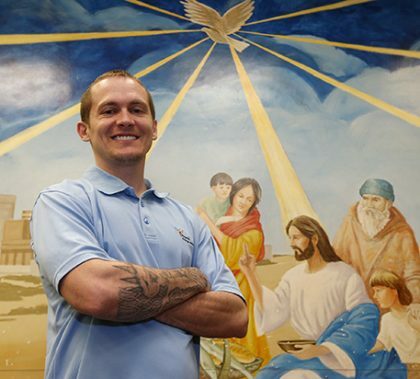 Now he’s a husband and father, is a supervisor at the Phoenix Rescue Mission and is about to get his degree. “He’s just worked so hard for it,” said his wife, Blake, fighting back tears. Reprinted from the April issue of GCU Magazine. 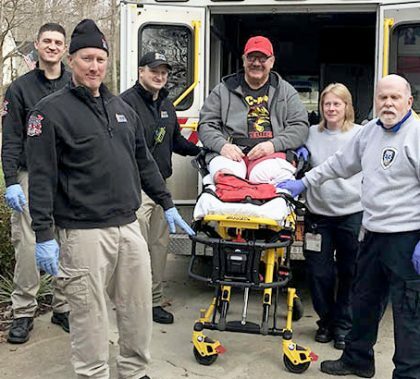 Five years, 13 operations and yet another leg amputation later, and Eric Gabriel has reached the finish line on his journey to earning his doctoral degree. 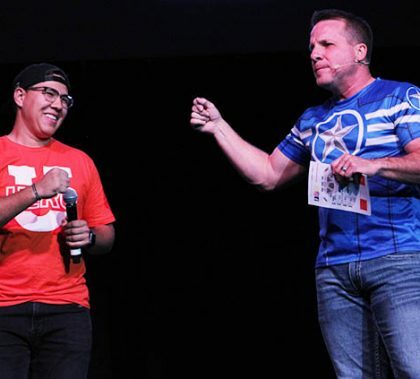 After living with one leg for the past 25 years, Gabriel learned in November to adjust to life with no legs, all while finishing up his doctoral studies. “If I didn’t have GCU and my schoolwork to do, I would have gone crazy. You know I don’t even know where I would be today,” he said. Adriana Quintanares moved to the United States when she was 4 years old, not speaking a word of English. She remembers her immigrant parents buying her a dictionary and looking up every word — every single word — to help her understand her homework. “My family, of course — and God — have kept me going,” said the GCU biology junior. Juan Colorado-Alvarez spoke about those school lunches no one seemed to like very much. He looked forward to them; sometimes those school lunches were the only meals he would eat. His immigrant parents, who worked two jobs each, constantly struggled to make it paycheck to paycheck. Quintanares and Colorado-Alvarez, a junior accounting major, reached deep and shared their hardships and how the Students Inspiring Students scholarship changed their lives at Tuesday’s SIS scholarship reception. 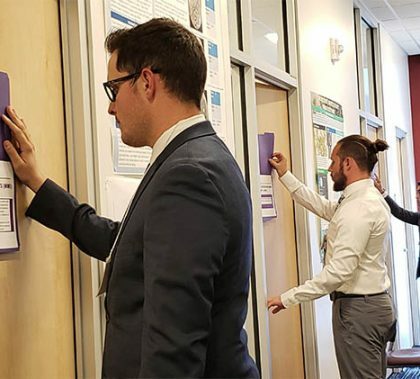 The Eta Chi chapter of Delta Mu Delta, the international business honor society, keeps growing by leaps and bounds, and Monday afternoon it officially inducted another large group. The event wrapped up a big year highlighted by achieving Star Chapter status, signifying that it is in the top 5% of chapters. 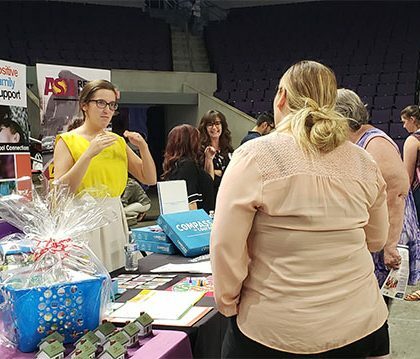 Dusti Powell is one of 14 members on the Parent Council, which strengthens connections between GCU students and their families. “Yes, they are young adults, out on their own, but parents still have a role,’’ said the mother from Queen Creek. One of the events where the Council makes a difference is Fuel for Finals, scheduled for Tuesday and Wednesday at four locations on campus. 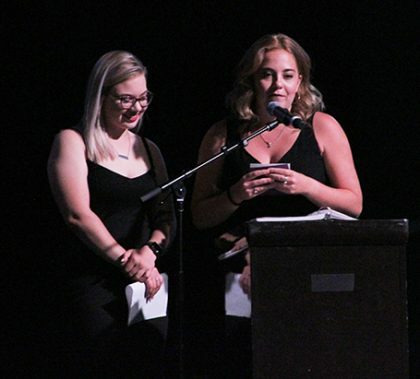 Honors College students gathered in GCU Arena on Saturday night to celebrate all of their achievements during the 2018-19 academic year. Assistant Dean Breanna Naegeli said the Honors banquet is one of her favorite events of the year. “It allows us all an opportunity to take a moment to reflect upon and acknowledge all the exceptional work and efforts of our students. These students not only take Honors courses and commit to the rigor in the classroom, but they continually go above and beyond outside of the classroom as well,” she said.